Wake up, get up, get out there! I’m filling in for our distinguished Datacide this weekend. Something about climbing Mount Everest or something. I can’t really recall. In any case, I’ve spent the past week checking out the Summer Games Done Quick marathon on and off while enjoying the short work week. With the time off, I’ve been pretty much packing up and cleaning stuff that I should have packed up and put into storage a while ago. Into storage goes the Wii U and Vita, along with the games and peripherals I’ve collected for them along the way. And while this move clears up some space in the living room for a Switch dock, it’s more about the HDMI port being freed up on the living room television. I was somewhat torn on putting away the Wii U given that I never completed Bayonetta 2, but given my current backlog of Yakuza 0, Nier: Automata, and Breath of the Wild, I’m probably not going to get to Bayonetta 2 anytime soon. There was less hand-wringing with the Vita since I have a PSTV hooked up in the bedroom. That was two summers ago when I wanted to replay Persona 4 Golden, but on a large screen. So forty bucks later, and voila. To this day, Persona 4 Golden’s the only Vita game I’ve completed, but buying a Vita was worth it simply because I got to play Persona 4 Golden multiple times. Which is a funny coincidence, because even though I initially bought a Wii U for Bayonetta 2, the only game I completed on that platform was Tokyo Mirage Sessions #FE. So, I guess what I’m trying to say is that I’m a sucker for a good Atlus game. Which explains why I’m currently working on my first new game plus run of Persona 5. It took me roughly one hundred hours to finish Persona 5 the first time through, and with the second time around, it’s going to take me probably seventy to eighty hours to complete. What’s funny about playing Persona 5 and packing up these consoles is reminiscing about the progression from Persona 4 Golden to Tokyo Mirage Sessions #FE to Persona 5. There are definitely touches of both games evident in Persona 5, which makes the experience all the more appealing. 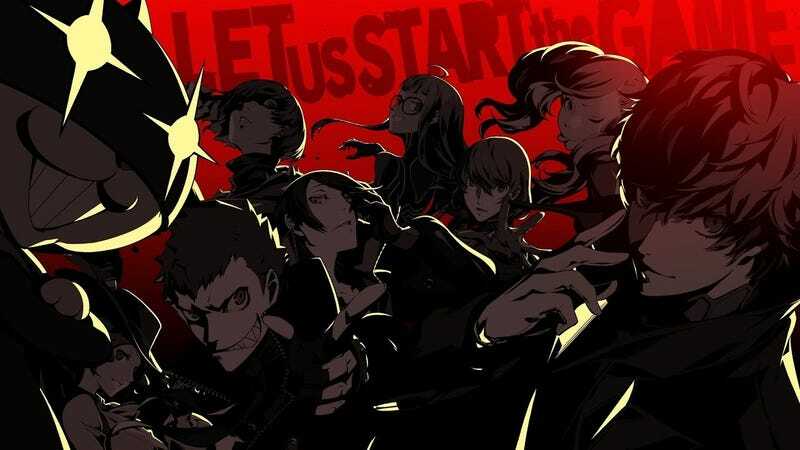 And while I’m not ready to state that Persona 5 is my favorite entry in the Persona series (I mean, I’ve played through Persona 4 Golden four times after all), it is definitely on my short list for game of the year. So much so, I’m currently working on a Persona 5 piece for TAY that goes into more detail about why it’s captivated me more than any other game thus far this year. I just have to find time to finish it is all. But it’s not all Atlus on my plate right now. In conjunction with my new game plus run of Persona 5, I finally made it back to Breath of the Wild. This was mainly due to the DLC that dropped last week, but after getting my Hylian legs back underneath me, I managed to finish off the third Divine Beast and am currently working on the final Divine Beast. I’m somewhat hesitant about progressing since I’ve heard stories about a certain part/side quest in this area that becomes vexing if you’re not prepared. I guess that explains why I’ve been pretty much running around the map finishing off shrines and collecting korok seeds in the interim. However, given that this is my first Zelda game ever, I think I’m making significant progress. It might take me a while, but I’m confident that I will finish this game. Well, that’s all I’ve got this week. Datacide should be back next weekend to regale you with stories of yeti and frostbite. Hopefully if you’ve gotten this far, I was able to entertain you somewhat. It’s been fun!